Senior Living › Senior Living Blog › Senior Living Resources › Senior Care Alert: Some Causes of Dementia are Reversible! If your loved one seems to be more forgetful than usual, has difficulty thinking of the correct words, or suffers a sudden shift in mood or behavior, your first worry may be that he or she is exhibiting early signs of dementia. Is it simple forgetfulness or dementia? Worry about dementia is not unusual. According to a 2015 AARP Brain Health Survey, three-quarters of adults age 40+ are concerned about their brain health declining in the future. So, as a caregiver, you may be hyper-alert to symptoms that indicate your loved one may be suffering from dementia. However, before you attribute Mom’s inability to remember where she put her car keys to dementia, it is best to slow down and assess the situation. A thorough medical exam may reveal some underlying conditions that exhibit as dementia. In cases like this, what appears to be dementia may be something else entirely. Some dementias caused by a variety of medical conditions may, in fact, be reversible if the underlying medical condition is detected and treated appropriately. That is why a complete medical exam is recommended for those exhibiting early signs of dementia. Some forms of dementia are irreversible. For instance, neurodegenerative diseases such as Alzheimer’s, frontotemporal dementia, Parkinson’s and Huntington’s disease fall into this category. These diseases result in permanent brain damage, which cannot be reversed and currently has no cure. However, the other main category of conditions which lead to dementia or dementia-like symptoms is non-neurodegenerative disease or disorder. Some dementias that fall under this broad category may be reversible, if, the cause of the dementia is found and treated. 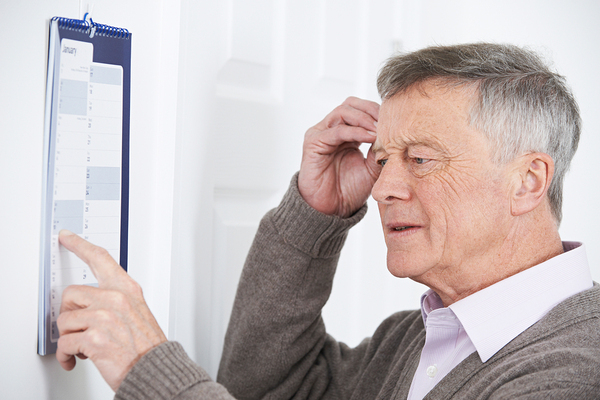 Another common problem among seniors that leads to a certain amount of confusion and memory loss is lack of sleep. As people age, sleep sometimes becomes more difficult. A persistent sleep deficit can lead to dementia-like symptoms. Additionally, seniors who suffer mobility and balance issues may be at increased risk for developing subdural hematomas or hemorrhages that may occur after a bump on the head. In time, these can lead to symptoms like lethargy, confusion, and difficulty with speech, all of which can be confused with dementia. While each of these health issues may cause your loved one to exhibit dementia-like symptoms, many of these conditions can be treated medically. Once treatment occurs, in some cases the symptoms of dementia subside. A thorough medical exam may reveal the cause of dementia-like symptoms. 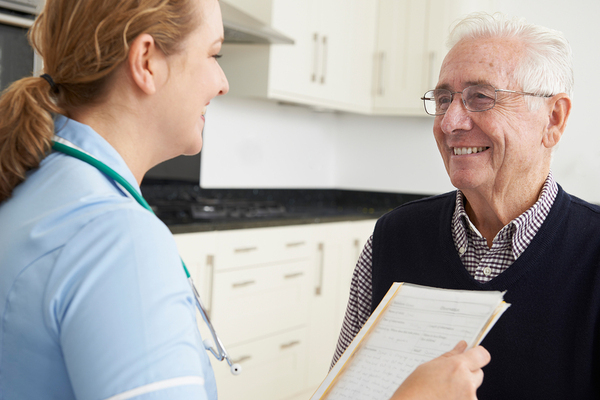 If a thorough medical exam indicates that your loved one is suffering from a type of dementia that cannot be reversed, there are measures you can take to ensure your senior stays safe and comfortable as time goes on. If at all possible, plan with your loved one for long-term care while he or she is still able to be a part of the decision-making process. Making such plans can alleviate much of the stress of the situation for both you and your loved one. Knowing that his or her needs will be addressed appropriately throughout the course of the disease will provide a measure of peace now and in the future.To find an appropriate care setting for your loved one’s needs now and later, why not take a moment to speak to a care advisor today?